"Amusement Street, Crescent Park, near Providence, R.I." by Metropolitan News, Co., Boston. 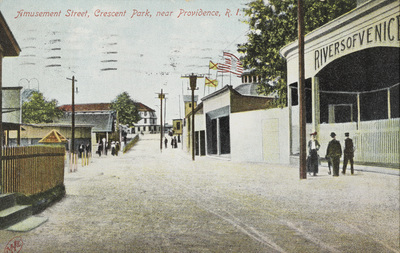 Amusement Street, Crescent Park, near Providence, R.I.
Used; Postmark: September [x], 1908. Metropolitan News, Co., Boston., "Amusement Street, Crescent Park, near Providence, R.I." (1915). Rhode Island Postcards. 368.